16-inch Resting Buddha Statue. An exotic accent for gardens, decks, walkways, patios and many indoor uses. Constructed from NuCrete , a durable fibre reinforced concrete. Angelo Dicor offers a 90-day Limited Warranty against paint or structural disintegration. Warranty does not cover damage caused by ice and freezing weather. 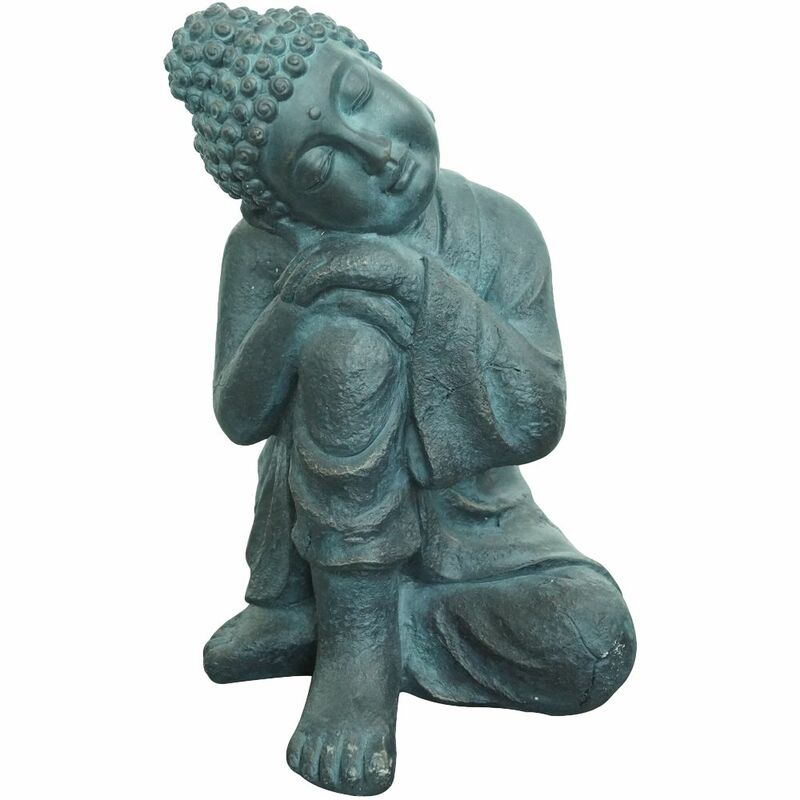 Enhance your home and garden with this Buddha Statue Decoration. Is sure to bring peace, harmony and tranquaility to any environment. Beautifully hand decorated outdoor sculpture, perfect for outdoor use. One look at our harmonious Buddha and you'll be filled with Zen-like feeling. The magnificent form of this sitting Buddha statue can be placed in a quiet garden or flower bed where he can meditate, undisturbed in the tranquil surroundings, creates a peaceful upgrade to your garden decor. Place into any natural setting, or display indoors for a wonderful home accent piece. This happy faced Buddha statue is a common symbol of joy, well-being and happiness in Feng Shui, and used to attract success and wealth. Give the gift of a happy Buddha statue, or add a touch of Zen to your own dicor, both indoors or out! Resting Buddha Statue 16-inch Resting Buddha Statue. An exotic accent for gardens, decks, walkways, patios and many indoor uses. Constructed from NuCrete , a durable fibre reinforced concrete.